14-year-old Jules is about to take the pop-rock industry by storm! 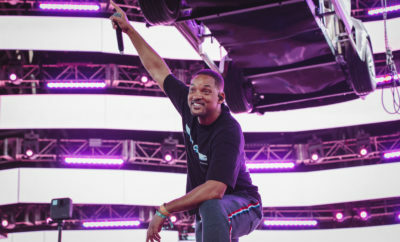 The Ontario resident is quickly standing out in the music world. The Grade 9 Canadian student sings, writes her own songs and even plays guitar. Driven by her love for music, Jules Collarile entered several singing competition in the past few years, landing a finalist spot at the 2015 International Acoustic Music Awards, as well as 2014’s Unsigned Only Music Competition. 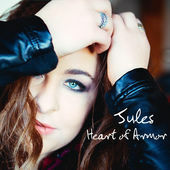 Her debut EP, Heart of Armor, released on May 4th, features five original songs and one cover. Produced by Karen Kosowski, the EP is as energetic and catchy as it is soft and slow. Indeed, while her original songs “I’m A Supergirl,” “City Lights” and “Never Give Up” and her cover of Joan Osborne’s “One Of Us” tend to showcase mainly Jules’ rock influences and empowering message, the two ballads of the EP, title track “Heart Of Armor” and “My Little Soldier” showcase Jules’ brazen voice in a vulnerable way that allows the EP to have a perfect balance. Jules wrote this song a few years back, as her childhood friend Kevin was fighting cancer. “Hey you my little soldier, it’s you I know you’ll make it though,” she sings in the song, “Hold on as we slay all these dragons, you’ll be coming home soon.” Sadly, Kevin did not make it home but his family fulfilled his dying wish to have Jules perform the song at his funeral. “Though it was so sad, it was an amazing feeling to perform there and offer comfort to his family,” she shared. Well, I, for sure, wish her the best, because when the time comes for her to release a new EP or an album, you can be sure I’ll be the first one to buy it!